If that’s not enough news for you, we’re also fully revealing the latest playable Battleborn hero, ISIC - a 500-year-old murder machine [SPOILER ALERT: He’s awesome - check out the deal with ISIC HERE]. 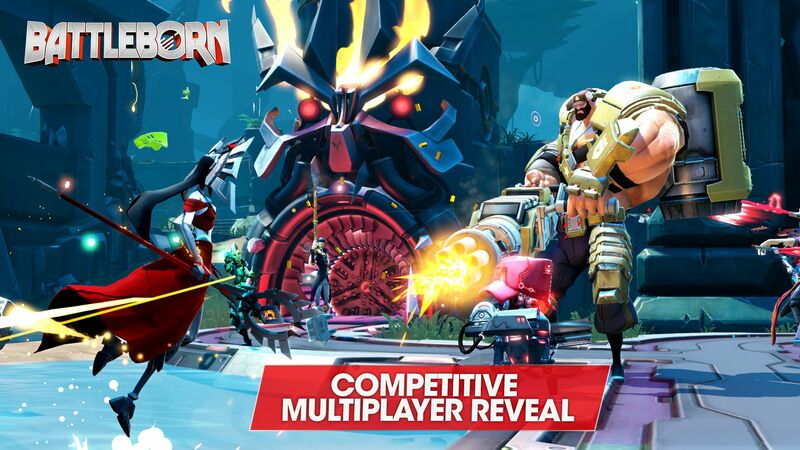 Can’t wait ‘til 2016 to play Battleborn? Well, good news for all you fine folks that’ve signed up for the Closed Technical Test: This weekend you’ll be able to try out Meltdown, a competitive multiplayer mode and a new Story mission where you meet ISIC. The fun starts at 1pm ET on Thursday, October 29! For details on what’s in the Closed Technical Test, CLICK HERE! …you haven’t registered for the test yet? Really? There’s still a chance for you to get in on this! If you’re gearing up for this weekend’s Closed Technical Test – or preparing yourself for the upcoming Open Beta – keep reading for some exclusive pro-level tips on Meltdown straight from the Gearbox gang! MELTDOWN: Each team has to march waves of their minions to their death at the chompers at the ends of lanes on the map. Sounds like fun, right? Think of it like a homicidal robotic sport. You score points for every minion who throws themselves into the incinerator and the team with the most scrap metal, wins. 2) Maintain the logistics buildables at the choke points on your team’s end of each lane. They can make the difference between an organized retreat and a team wipe. 4) Just because the enemy team beat you to the half way mark doesn’t mean the match is a lost cause. Their chomper locations will move further back, making it much harder for them to score and easier for your team to catch up. 5) Minion wave’s spawn once per minute. Keep track of the match timer and it will give you an edge on hitting the other team’s minions before they can respond. Multiplayer also includes Capture and Incursion. NOTE: These modes are not in the upcoming Closed Technical Test, but you’ll want to try them out for yourself at some point. Trust us. CAPTURE: It’s classic capture-and-control showdown between two teams of heroes. But more Badass. 3) Build your defenses- Both point A and C have defense buildable options. Build turrets to help defend a capture point. Also build logistic nodes to give your team a speed boost around the map! 4) Use the Short cuts- Both points A and C have short cut paths for more vertical movement players, which allow for faster access to the capture points if they need to be taken back or defended by your team. INCURSION: Playing Incursion, teams of heroes must defend their base from waves of AI-controlled minions. Meanwhile, you’re working together alongside your own minions to lead them to your opponent’s base. Then destroy it. ONE LAST REMINDER ABOUT THE CLOSED TECHNICAL TEST. PROMISE. In a couple days, the elite among you get to drop in and play Battleborn during the closed technical test. The closed technical test for the game begins this Thursday, October 29 at 1PM ET on PS4, Xbox One, and PC. So, if you haven’t already registered to play, do it NOW!